Jack Leahy is somewhat of an institution in the San Francisco film and music industries. In the mid sixties he and two partners started up a graphics company, Funky Features, that produced posters and graphics, including work for the two eminent San Francisco ballrooms, the Fillmore and the Avalon. By 1969, opened a recording studio in his home, and morphed into a recording engineer, recording and mixing music in the famous Haight-Ashbury district for musicians such as Janice Joplin, Country Joe McDonald, Steve Miller and Jimi Hendrix. In 1977 he co-founded Russian Hill Recording, a full-service recording studio and audio post-production complex for film and television. This project deepened Leahy’s interest in the design of acoustic spaces. A third complex, Crescendo! Studios, designed with John Storyk for advertising and media production, followed in 1996.In the 1980’s Leahy began working on the soundtracks of feature films. 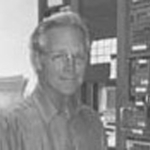 Working with Tom Holman (creator of THX at LucasFilm), he developed some of the first “small” rooms capable of mixing in surround sound formats that could accurately translate to large theatrical spaces.While living in Marin County and drawing on his studio designing experiences, he built a video screening facility in his home where he could review sound mixes before going to the mixing stage. Friends, clients and colleagues, on experiencing this early “Home Theatre”, asked him to design for their homes. The Media Room became a formal business in 1991. It provided consultation, design, installation and project management services to hundreds of businesses and individuals seeking the highest quality in custom media and communications. Leahy and Storyk have been collaborating on many projects for years. Leahy now divides his year between San Francisco and New Orleans, and remains a consulting member of the WSDG team, bringing his knowledge of what a studio should contain and his talent of being able to create innovative designs.